How cute are our pink floral 'Wedding day emergency kits'? 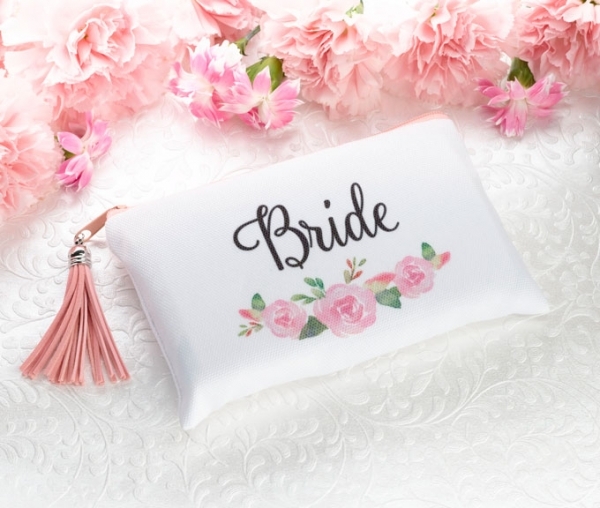 The bride will definitely appreciate this pretty and functional gift that she can use for day of emergencies and long after the wedding. Contents included in this canvas mini bag: 1 sewing kit, 1 pair of tweezers, 2 bobby pins, 2 safety pins, 1 travel-size Kleenex tissue, 1 nail file, 5 ear buds, 2 band-aids, 2 blister pads, 2 earring backs and blotting papers. 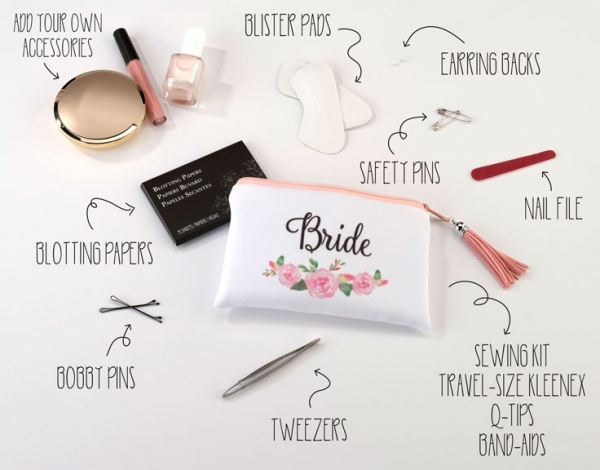 Bride emergency kit measures 15 cm long by 9.5 cm wide. Also available in maid of honor & bridesmaid.